While Brexit bounces back and forth between the walls of Westminster and Brussels, developments at the Port of Dover are still progressing to plan. 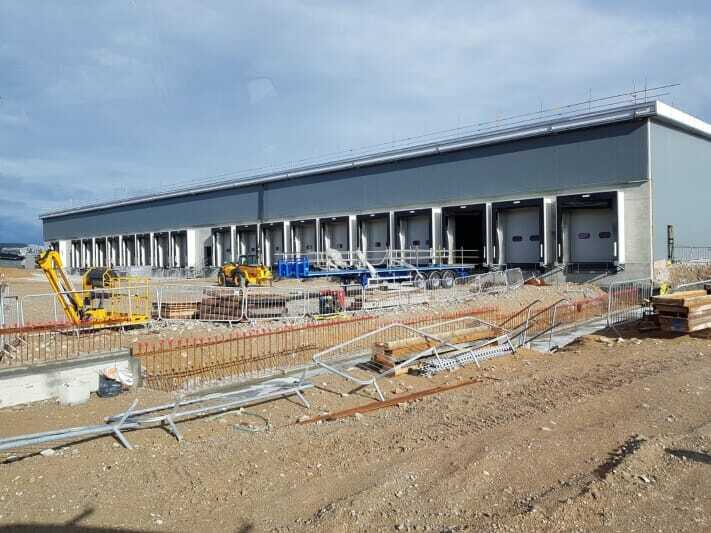 The Port of Dover specialises in the handling, storing and freight forwarding of temperature-controlled commodities and, to ensure that they protect their business interests, a new, multi-purpose refrigerated cargo terminal (RCT) is under construction. The development of the RCT is a vital element of the large redevelopment project that is focused on Dover's dock area. The project is called the Dover Western Docks Revival (DWDR) and will result in a greatly transformed Dover waterfront and new marina pier with the aim of bringing new shops, bars and restaurants to sit against Dover's historical backdrop of the harbour, famous White Cliffs and castle. As well as the more recreational element, the DWDR will also see the relocation and continued development of Dover's cargo business with the creation of a new cargo terminal and distribution centre, scheduled to open in early 2019. 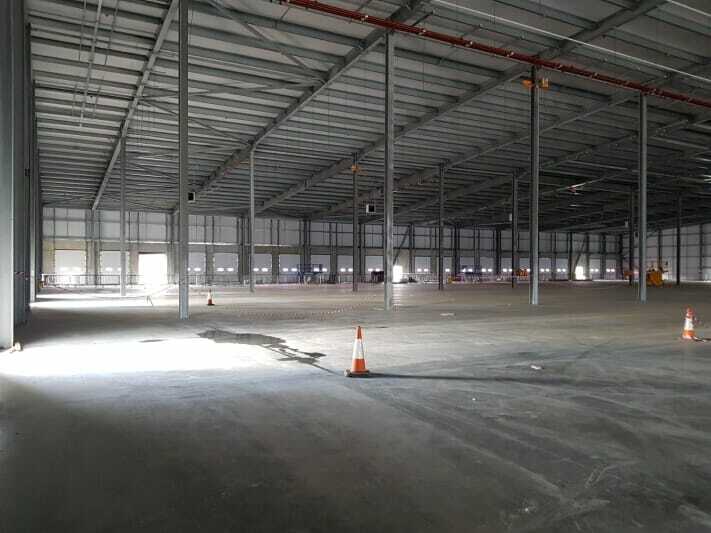 Tekta UK are proud to be part of this re-development and have been working on installing 20 loading bays to facilitate temperature-controlled storage as part of a 9,630 sqm facility. The building will house state-of-the-art facilities including eight chambers, each with an individually controlled temperature capability of between +1 and +14 degrees Celsius (+/-1C). The objective of the redevelopment project is to manage projected increases in cargo volume and also to drive and facilitate growth of the cargo sector. The completion of the project will mean that the Port of Dover not only remains a major cargo player in north west Europe, but it will also strengthen its position as trade moves beyond its near European neighbours in the post-Brexit era. The DWDR is the single biggest investment ever undertaken by the Port of Dover with around £250 million invested in the first phase. Financial projections indicate that the port will be handling through trade to the value of £122 billion, which represents up to 17% of UK trade in goods. 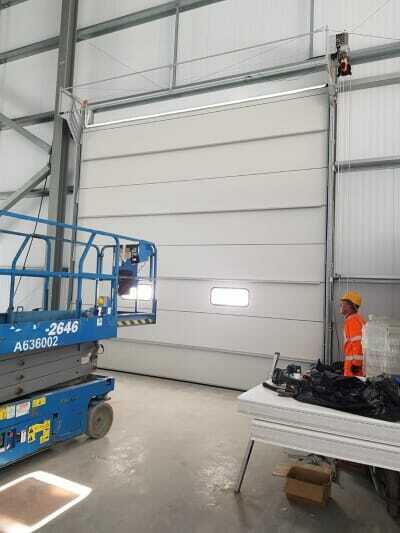 Tekta UK have been awarded the contract to deliver all doors in the project including 20 loading bays and are installing the Rollashield SD as well as 20 Doc levellers. 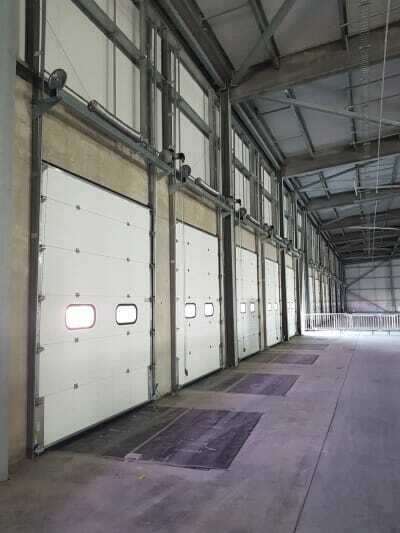 The Rollashield SD Sectional Overhead Door is an exceptional choice, delivering both the physical framework and the functionality that the project requires. Rollashield SD sectional doors work to keep all types of weather at bay while delivering on insulation and efficiency, in terms of both operations and in energy costs. The Rollashield SD sectional door is a superb choice for external doorways when the need for climate control is paramount. We've ensured that the Rollashield SD has no areas of cold bridging meaning thatBuilding Regulations for new buildings are met. Panels achieve a U-value of 0.51 W/m2K which means that a fully installed 5m x 5m door will achieve a U-value of around 0.9 W/m2K, while an upgrade to an 80mm panel gives a U-value of 0.24 W/m2K. Often used in the development of chilled distribution centres, the Rollashield provides Class 2 air-permeability, which can also be upgraded to Class 4. For the ultimate in flexibility, the Rollashield SD comes with the option of manual or motorised operation to complement a variety of control methods. The Rollashield SD door is a sound choice for loading bays, which is why is has been selected for the Port of Dover regeneration project, in conjunction with the 20 dock levellers to enable smooth loading and unloading, without losing temperature-controlled air from within. The doors can be fitted with integral personnel doors to facilitate pedestrian traffic with minimal energy loss. The product specification can be tailored to each individual, with maximum width and height both set at 9000mm, although larger sizes available on request. The panels, with a V-grooved pattern on both sides, have both a zinc-coated steel outer skin and a high-density CFC-free foam core insulation. Tekta UK take aesthetics seriously and understand that, while functional to the highest of standards, the doors must fit in with overall look of the facility. To this end, the 25-micron stucco finish comes in a choice of colours, including Ivory, Sunset Red, Gentian Blue and Silver.